Does anybody know the font for Fox Sports regional networks (ex. Midwest, Wisconsin, North, Ohio, South, West, Carolinas, etc.) and the font for "Live" in Fox Sports Live? At a glance, it seems as if they just simply rounded the sharp edges in the serifs. Would anybody know where to find/if they make numbers for Telegraphico? Any leads on this font for Bradley Baseball? I've tried the normal routes (Stadium from DaFont, IFC Insane Rodeo, etc). It may be custom. I've looked in the Wilson catalog (maker of the uniform) and can't find anything. My issue is find a font with the right "R" (with the swoosh) and the spikes being correct. The regional ones are from the United family. "LIVE" is likely a modified version of United as well. 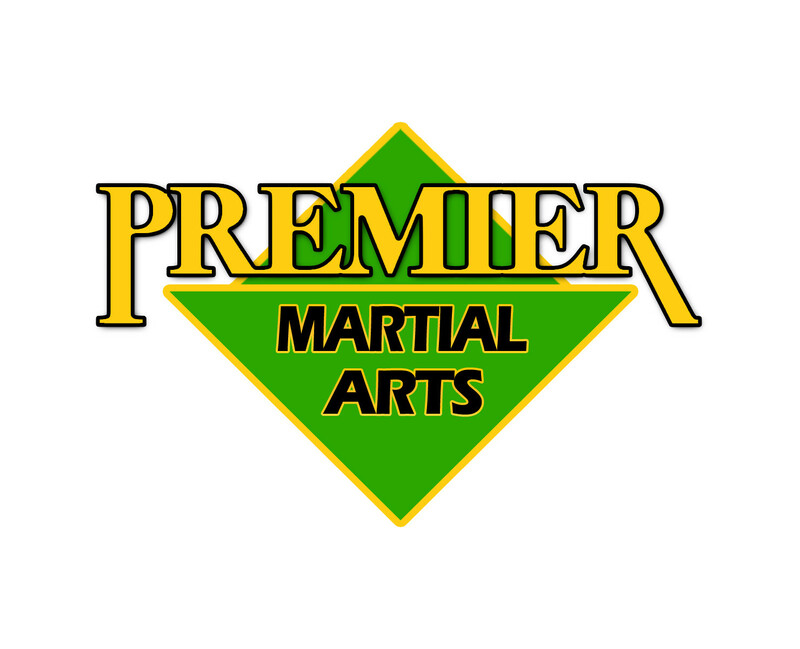 I need your help to figure out the fonts used in the logo for Premier Martial Arts. 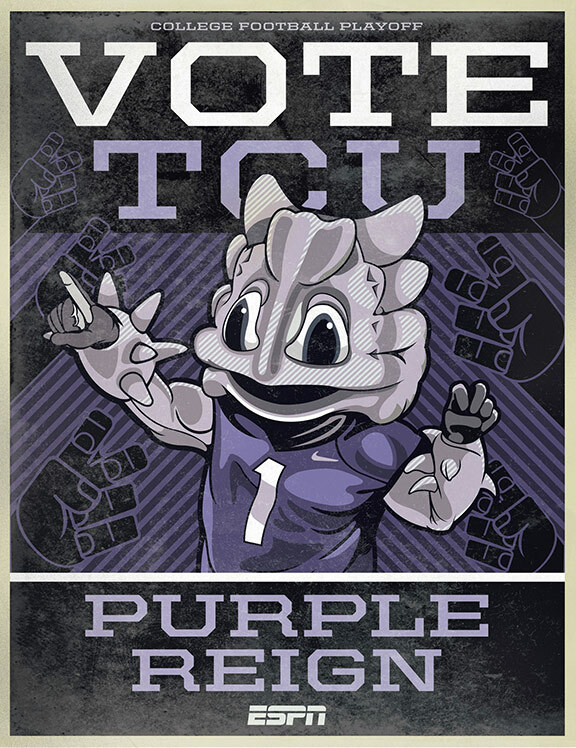 Any guesses for VOTE TCU/Purple Reign? I know I have seen similar fonts but just cannot place it in my mind. Premiere is simply Times Bold that's been modified. Martial Arts is Eras Bold. 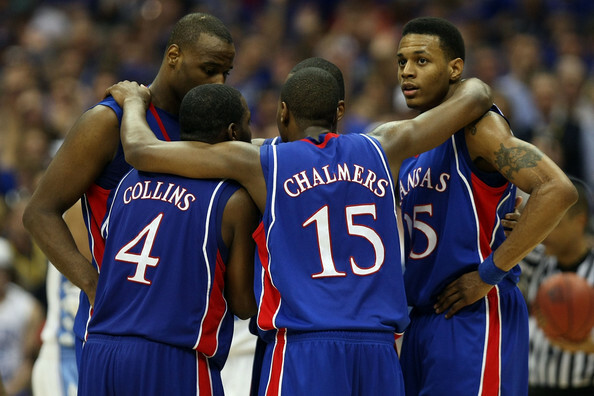 I'm looking for the SJSU font on the jersey. 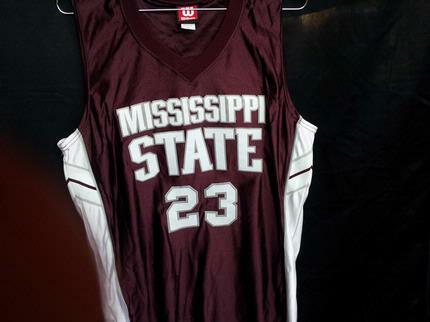 Found this pic of a rare Mississippi State men's basketball jersey. 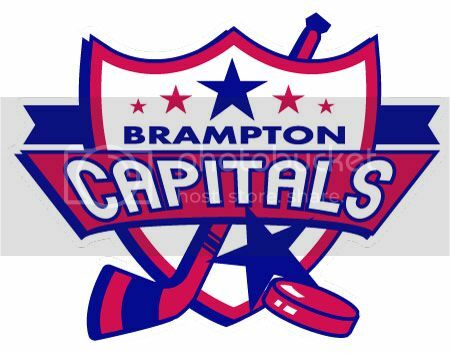 I wanna know which kind of font are the letters on its wordmark (not the numbers). I know it's not ITC Machine. Anyone know what font this is ( or any font that is very similar ) ? So is there anywhere to actually download the Unconquered font? Did you try out this: https://fontsbyconrad.wordpress.com/2014/05/04/misc-fonts-pack-3/ Hope this helps.